As a landlord, you hope rent comes in every month, on time, and in full. Ideally, that rent check would clear the bank every time and you would never worry about an eviction. Unfortunately, that isn’t always the case. Maybe you have that habitually late payer. 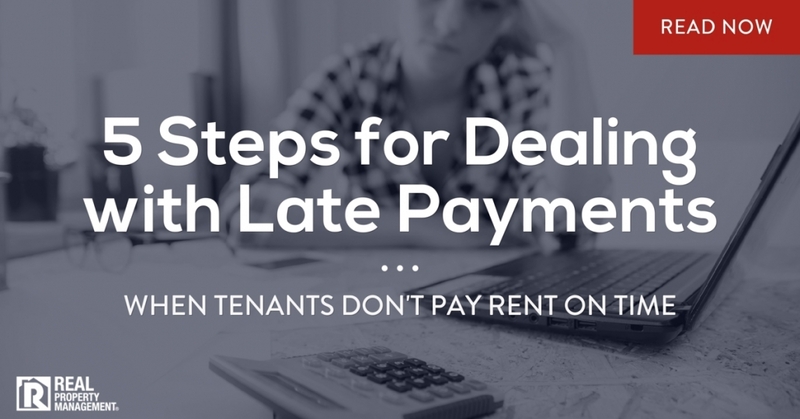 Perhaps your tenant consistently does not pay the entire amount due. Or you might even be dealing with a tenant that has stopped paying altogether. Whatever the circumstances, the fact is that to be successful in property management in Sacramento, CA, you need to have a strict rent collection process in place. With Real Property Management SAC-METRO, our proven process is designed to tackle all those common delays. Selecting Qualified Tenants – Our tried and true method starts long before you get that first rent check. A rigorous tenant screening process is crucial. Placing qualified tenants gives you the best shot at receiving an on-time payment every month. Offering Technology-Driven Services – While some people still prefer writing out a paper check, an online system is a necessity as well. When using professional property management in Sacramento, CA, such as Real Property Management SAC-METRO, tenants have access to a personal online portal to provide the option of quick, convenient payments. Communicating Expectations – Be upfront about what happens if rent isn’t paid. Write out your collections process in the lease contract. By doing so, you ensure your tenants know what to expect in the case of a missed or late payment. Knowing the Next Step – You need to know already what you are going to do before it happens. Do you have a grace period? When will you begin the eviction process if a payment is missed? Understanding Relevant Laws and Regulations – Do not break the law. If an eviction is necessary, move as quickly as the law allows. Know what you can and cannot do, then move forward following the rules. Searching for Property Management in Sacramento, CA? The eviction process is difficult. Emotions are high, and tenants are typically upset. With the help of Real Property Management SAC-METRO, you can leave behind the daily headaches and hassles of being a landlord. If your tenants run into financial difficulty, we have you covered. Give our proven process a try. See what our experienced team can do for you. Call Real Property Management SAC-METRO today.